In September 2014, three separate operations – the country operation in Syria and the cross-border operations from Turkey and Jordan – were brought together into a single response framework. 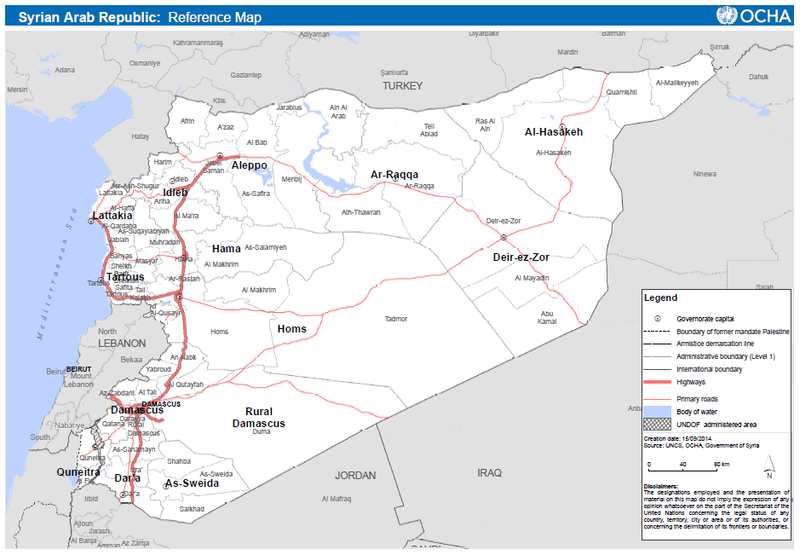 In October 2014, partners from these three Hubs came together to draft the 2015 Humanitarian Needs Overview (HNO) and the 2015 Syria Strategic Response Plan (SRP). One united appeal for Syria was launched. In February 2015, the coordination of Whole of Syria (WoS) was formalized with the implementation of the 2015 SRP. The overall goal of the Whole of Syria (WoS) Education Focal Point(s) is to ensure coherence and consistency of humanitarian action in Syria across the Hubs in Damascus, Gaziantep and Amman. For Education, the necessity for this role is clearly highlighted by the No Lost Generation (NLG) Initiative. The NLG Initiative underlines that strategic investments in the education of children affected by the Syria crisis can provide them with the skills and sense of civic responsibility needed to help rebuild their society. The need for a well evidenced, articulated, coherent and costed strategy across the three Hubs to rebuilding education in Syria is paramount and the WoS approach gives an opportunity to help make this a reality. The role of the WoS Education Focal Point is to provide support to the Hubs by facilitating WoS analysis, planning and reporting and ensuring coherence and harmonization of standards across the three Hubs. UNICEF and Save the Children have been selected as the Co-Focal Points through consultation with the three Hubs. Both organizations are co-leads of the Global Education Cluster and bring in the necessary experience and expertise. "I learn" self-learning project launched by Ghiras Foundation, enables boys and girls to access education, where escalation of attacks on educational facilities, the lack of safe educational environments, as well as some social norms and traditions relating to the education of girls, in addition to economic difficulties has led to large number of children out of school.